A Female Chinese national made headlines on social and mainstream media after the controversial "Taho" Throwing incident at the Metro Rail Transit's (MRT) Boni Ave. Station in Mandaluyong City on Saturday. The Chinese national was arrested for disrespecting and assaulting a policeman. According to the National Capital Region Police Office (NCRPO) Head, Director Guillermo Eleazar, the suspect was identified as Jiale Zhang, 23, residing in 30P Axis Residences, Pioneer St., in Mandaluyong. 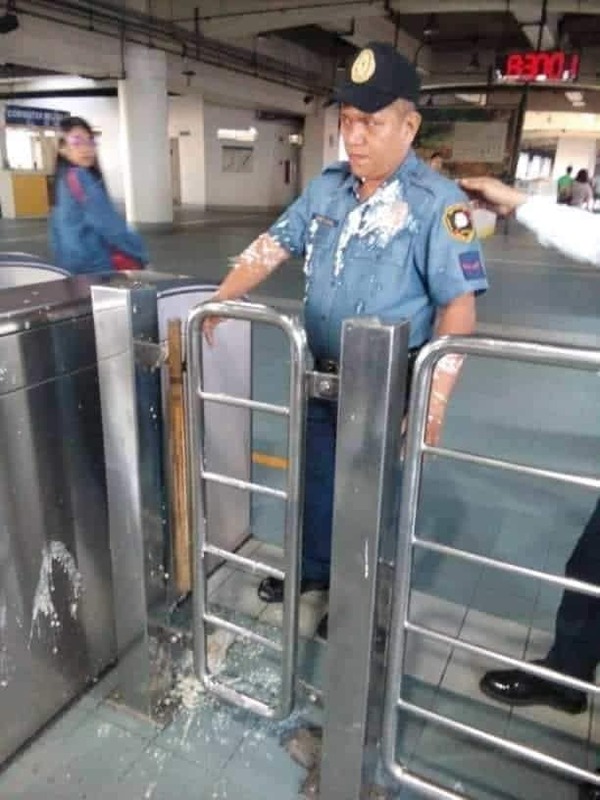 The Chinese national allegedly threw "taho" (soy pudding) at Police Officer 1 William Cristobal after the policeman stopped the Chinese national from entering the station at about 8:30 AM. 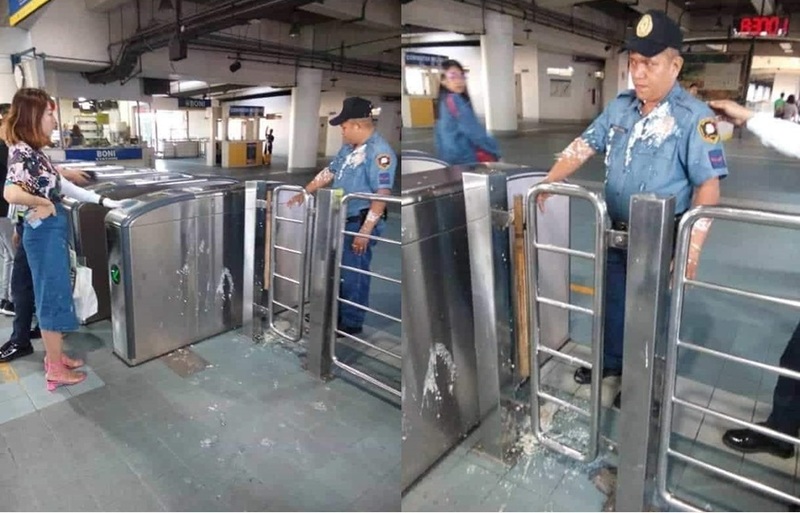 Based on the initial report by the PNP, the station's on-duty security guard stopped Zhang from bringing with her a cup of "taho", explaining to her the ban on liquid items implemented by the MRT. The police officer on duty at MRT, PO1 Cristobal intervened during the incident and explained to Zhang the policy but she refused to comply and threw the food at him, staining his uniform. 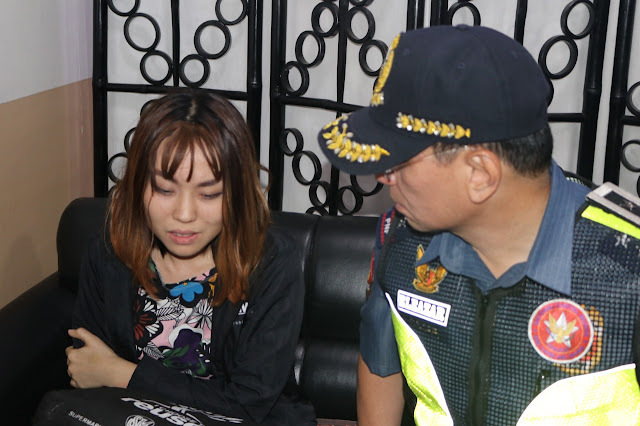 Due to the incident, PO1 Cristobal and his partner PO1 Dominador Olempiada arrested the suspect for disobedience to an agent or person in authority and direct assault and bring her to the Police Community Precinct 5 in Mandaluyong. 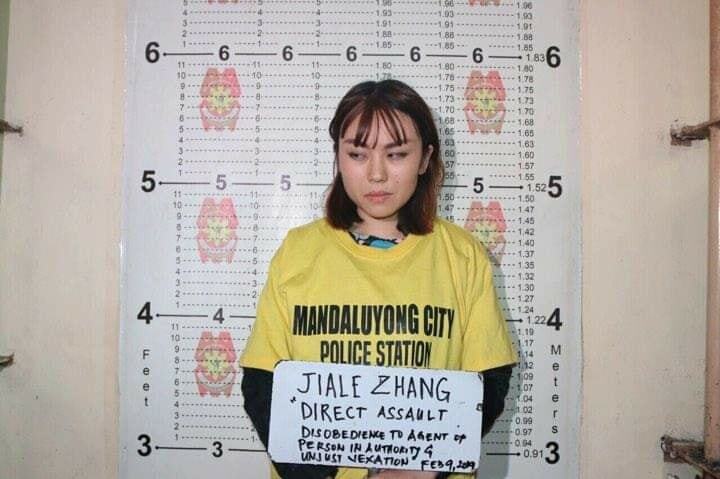 The suspect Chinese national Jiale Zhang has undergone booking procedures prior to inquest proceedings for the case of direct assault and disobedience to an agent of authority. 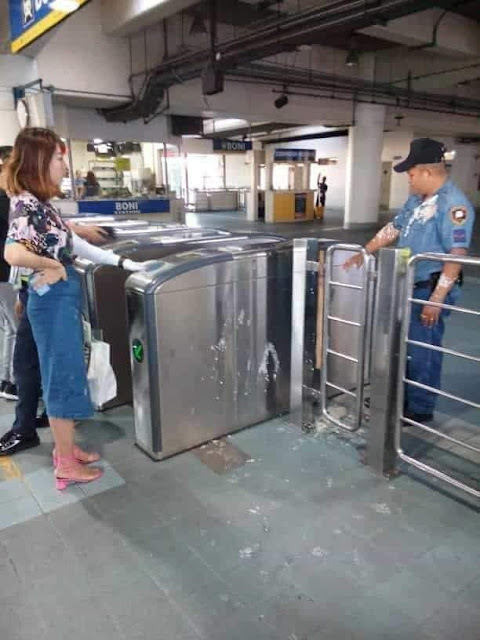 The incident was also caught on camera by some concerned netizen and posted it on social media which spreads like wildfire. Netizens Pau Mesias shared some photos of the incident on Facebook.